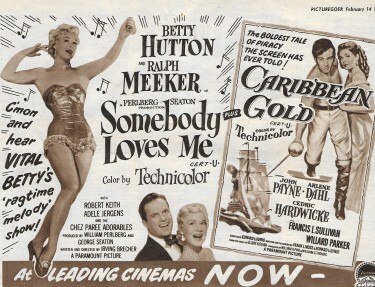 This is an interesting bill – a Musical with Betty Hutton – the last film Betty Hutton ever made coupled with an adventure film starring John Payne and Arlene Dahl with Sir Cedric Hardwicke and Francis L Sullivan – two very experienced British Actors – in fact having worked with them on this film, John Payne said that Cedric Hardwick and Francis L. Sullivan were “two of the finest actors in the business.” After making ‘Somebody Loves Me’ Betty Hutton had a row with the Studio (Paramount) and walked out. The temperamental star’s skyrocketing career came to earth with a bump in film terms although she made a few stage appearances and was on Television in The Betty Hutton Show which only ran for 30 shows in 1959 and 1960. This though was a far cry from her Film days. 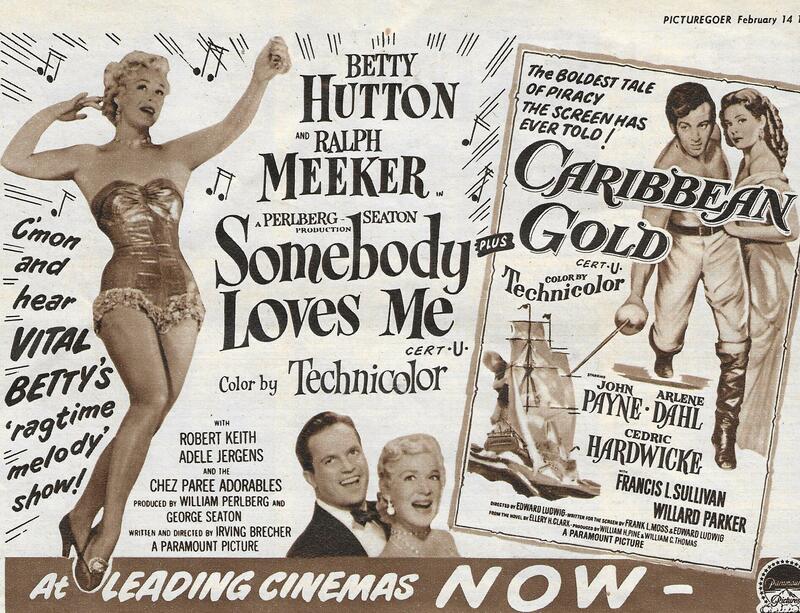 Caribbean Gold took almost 1.5 million dollars at the Box Office – so proving quite a hit that year. Cedric Hardwick had been in a similar sort of film a year earlier with Alan Ladd in Botany Bay – a film I really like – although I do think that one could have been made before Caribbean Gold even though it was released after. An interesting brief mention of Betty’s TV series, The Betty Hutton Show – a charming B/W sitcom with Miss Hutton playing a manicurist who adopts two children from a deceased customer. 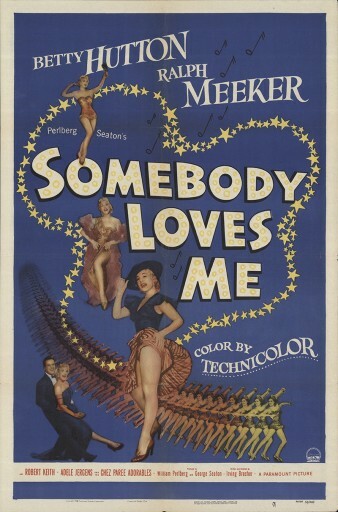 Produced by Desilu, four episodes of this series is available on DVD. Alan, You are quite right that it is only a brief comment in the post about The Betty Hutton Show – mainly because, although I am a real and avid film fan of the era, I have never had much information on Batty Hutton and can’t remember much about her or her TV or film career. I realise that she was quite a big star in the day though, but I never saw these shows. Maybe I have been missing something as hers is a name that crops up a lot in the Film Annuals of that time usually with glossy pictures.